My late mother was a Burton–you can now guess the origin of my given name–from Beaumont (once known as Ward’s Harbour), on Long Island in western Notre Dame Bay. On 22 August 1883, another Burton, Lemuel, undoubtedly a relative of mine, made an enigmatic discovery near the beach at Ward’s Harbour…the skeletal remains of a male. As Burton lifted the skull, a bullet, blood-red in colour, dropped out. The macabre object quickly posed several key questions in the community and surrounding area. No one at either Ward’s Harbour or on Long Island had gone missing within recent memory. All of the stories on tap here relate to the sea, which is not surprising, considering Parsons’ considerable experience in chronicling Atlantic Canada’s ships and ship disasters. To date, he has written more than 25 nonfiction books. Prepare to be entertained and, perhaps, shocked, by this riveting collection of murderous accounts. 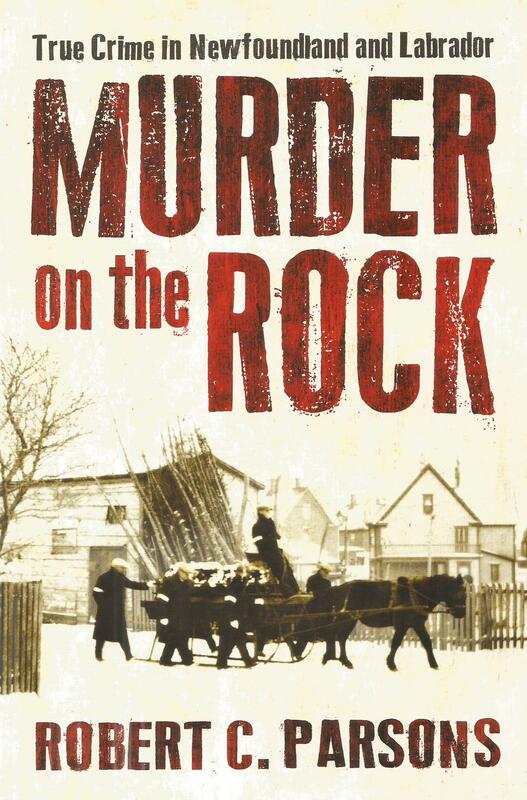 Murder on the Rock is a fine read, destined to satisfy readers’ interest until the next Parsons book sees the light of publication.